NPP Lead Acid Batteries Are Made With High Quality Materials. For Alarm System, Emergency Lighting System, Firefighting Equipment, Standby Power Supply and Telephone Switching System, Uninterrupted Power Supply, Electric Wheel Chairs Telecommunication System, Computer Standby Power Supply System, Wind Systems, Solar System Etc. RUGGED DESIGN - The battery case is made from a Non-Conductive ABS plastic, Strong Resistance to Shock, Vibration, Chemicals, Weather and Heat. Very easy to install and requires no maintenance. WARRANTY - At NPP, each battery has been strictly quality controlled. 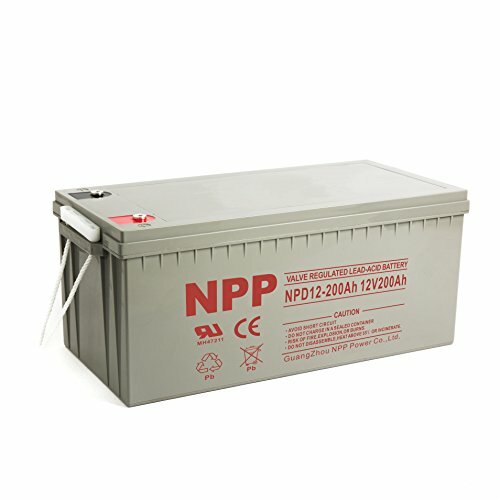 Each NPP Deep Cycle battery will come with a two year warranty. So you can purchase with confident. If you have any questions about this product by NPP, contact us by completing and submitting the form below. If you are looking for a specif part number, please include it with your message.